German cities are clogged by commuter cars every single day. 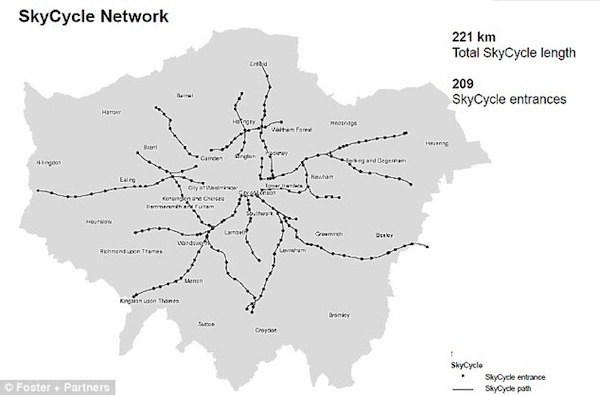 London was clogged by commuter cars every single day. Then, London banned car traffic from the inner city. Now, the City decided to invest more than 1 billion Euros (yeah, that’s a one with 9 zeros to it, right), over the next 10 years. And that invest will go into … you won’t believe it, but it will go into bicycle infrastructure. The project is called SkyCycle and Sir Norman Foster signed up for planning the whole thing. You may wonder whether this is actually the real reason behind the spending size. Well, even if – it’s still a huge project, and if London is going to realize it, it’s going to be huge in more than one sense of the meaning. 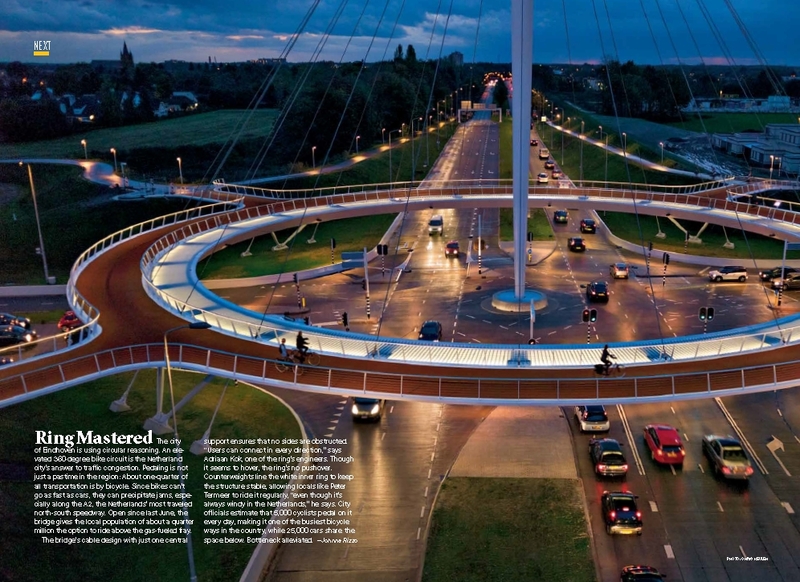 But the first of these concepts it will not be: Dutch cyclists can already ride their bikes high above the jammed or not-quite-so-jammed motorized traffic. On what’s called Hovenring, a roundabout located in Eindhoven. And it’s not only a very useful addition to the bike culture and traffic infrastructure of Eindhoven, it’s also a rather graceful construction. Wouldn’t be too surprised, if it would attract tourists that aren’t necessarily bike packers or commuter bikers themselves. Oh, and here is a picture of Frankfurt, Germany, and the situation bikers are in there. The city of Frankfurt does contemplate to lower the speed limit to 30 km/h. To lower the noise of motorized traffic, not to make this a more bikeable, eh, likeable, city.